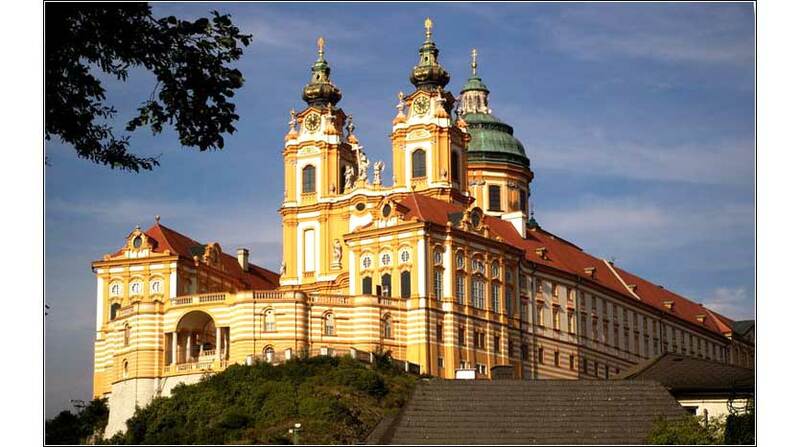 Melk Abbey, on the Danube River, Austria. 485 people in our community are currently praying with you. The moving Sabbath Prayer from “Fiddler on the Roof”, where Tevye and Golde pray for the future of their unmarried daughters. This is sung at supper on Friday, the start of the Sabbath. 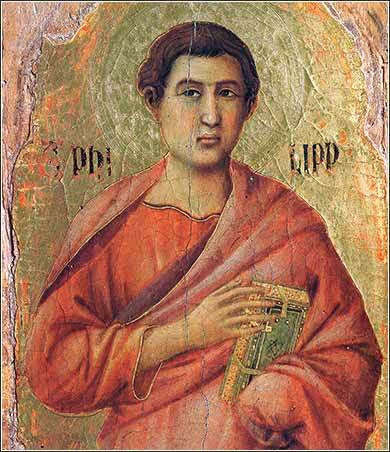 Apostle Philip by Duccio, ca. 1308. Philip seems to be seriously contemplating “wise as a serpent” in this proto-Renaissance depiction. “Philip said to Jesus, Lord, show us the Father, and we will be satisfied.” Jesus said to him, “Have I been with you all this time, Philip, and you still do not know me? Whoever has seen me has seen the Father. How can you say, `Show us the Father'? Do you not believe that I am in the Father and the Father is in me? Do you believe in God? I imagine anyone reading this will answer “yes”, but we know that it can be a difficult thing at times, because it is impossible for the human mind to grasp Him. We are accustomed to relying on our senses and our logic to decide what is true and false, but God cannot be known in that way. We do know that both logic and our senses are fallible. David Copperfield can convince you that a building has disappeared. We constantly fall for sales pitches of some sort and equally often reject truth. At one time, people could not grasp that the world was round. And just try to understand Einstein's theory of relativity, or quantum mechanics. e cannot even agree whether the earth is getting warmer because of air pollution or not, which would seem to be well within the grasp of modern science. Scientists, who are smarter than I am, say that global warming is happening and that it is cause by manmade pollution. Other scientists, who are also smarter than I am, say that it is just normal climate fluctuation. Someone is wrong about it, but the point is, even whoever is wrong knows more than I do! God is a lot harder to understand than quantum mechanics or climate change. The possibility that we can grasp Him intellectually, given the limitations of logic and our senses, is zero. Here, when Philip asks Christ to show him the Father, he is saying that he will make a decision based on his sense of sight. Certainly, David Copperfield could have obliged Philip and shown him something convincing. But Christ refuses. Christ is standing right in front of him and will not indulge Philip's naiveté with a magic act. Instead, Christ tells Philip to follow His commandments. If he does so, Christ will send another Advocate to abide with him. That is, the Holy Spirit will come to dwell in Philip, and Philip will know of His existence, even though the Spirit cannot be seen or known by the world. And this is the answer we must either accept or reject. Learn and follow Christ's teachings and you will know of God's existence, because he will dwell within you and you will know Him.